One of the UK’s most popular rear entrance door styles, sliding patio doors make perfect sense for those who frequently stroll into the garden thanks to large glass double glazing panels and effortless sliding action. Allowing easy access to your outdoor space, they let plenty of natural sunlight flood into the room while never impeding inside living space. 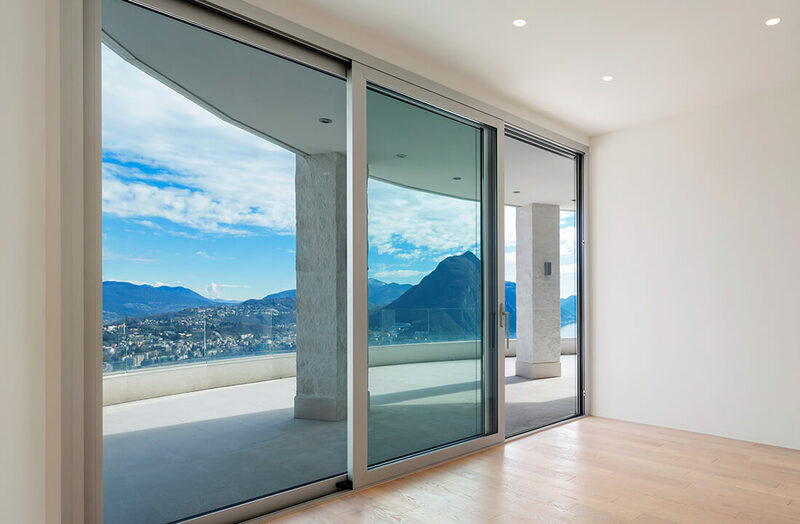 Whether open or closed, a sliding patio door’s effects can always be felt. 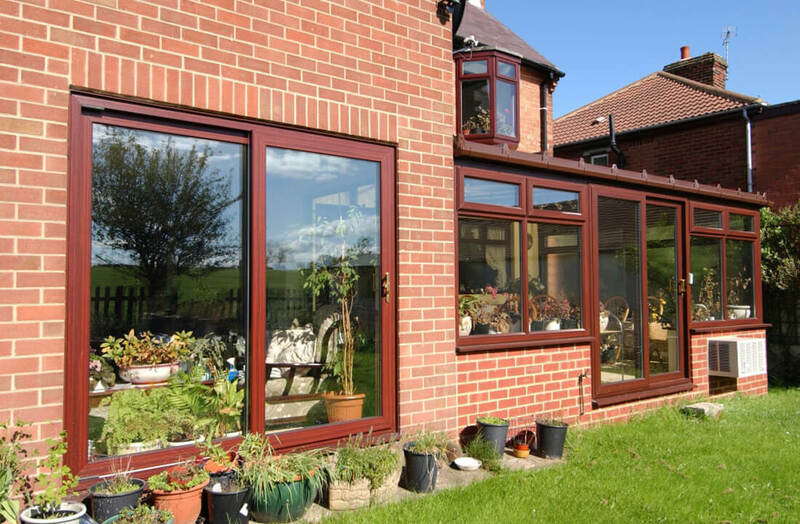 If you’re not sure whether it’s time to replace your patio doors, read our guide to spot the signs that it’s time for replacement patio door. Patio doors from Northern Trade give homeowners the choice of 30 distinct colour foils, from classic tones like Chartwell Green and Anthracite Grey to authentic woodgrain foils. As a result, properties of any age or style are successfully covered. Despite featuring a large glass surface area, all our patio doors come fitted with multi-point Platinum three-star kitemark anti-snap cylinder Yale locks as standard, in addition to an anti-jacking system which means the panels can’t be lifted. 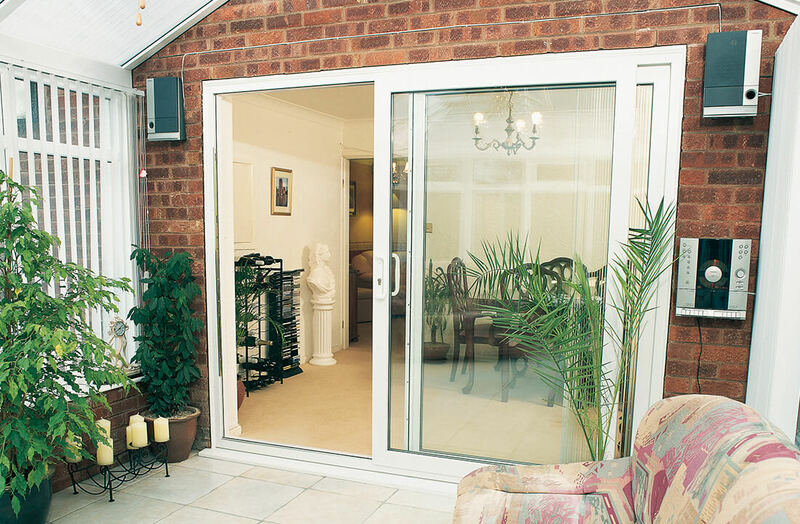 Once fitted, patio doors offer homeowners complete peace of mind. 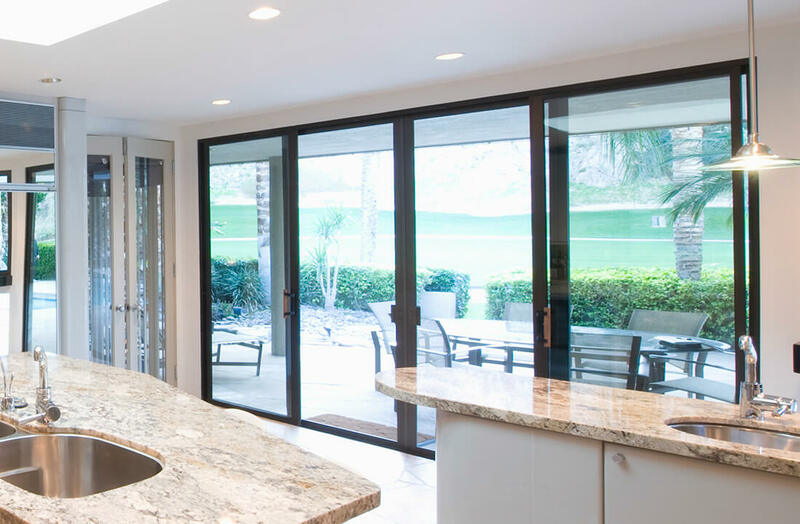 Giving all homeowners the ultimate easy access, we can install every patio door lock to work in tandem with all other entrances in what’s known as ‘keyed alike’ fashion. Suddenly only one key will be needed to access all for convenience like never before. Just because you’ll feel closer to the outside with patio doors installed, doesn’t mean that you’ll be leaving yourself open to the elements. Excellent weather protection & heat conservation thanks to double brush seals on all panels.